I would love to give credit where credit is due, but I have no idea who drew this. PS: Al below has solved the problem.The cartoonist is Saji George and the link to the original picture (and to Saji) appears in Al’s comment. Thanks Al. One of the most fascinating books that has recently found its way into my library is My Stroke of Insight by Jill Bolte Taylor. Taylor tells a gripping story of how she survived, and recovered from, a massive stroke that had left her without the functions of her brain’s left hemisphere. What makes the book unique is the fact that Taylor was an accomplished Harvard brain scientist at the time of her stroke, and that she had enough sense to conclude that the experience of losing half her mind was the research opportunity of a lifetime. And so she began taking mental notes in her dazed and confused state, ultimately leaving us with a striking memoir, through the eyes of a scientist, of what it’s like to experience the deterioration of the left brain and its functions. Also, she provides an extremely practical step-by-step account of her recovery. Taylor’s bravery was rewarded: The book became a New York Times bestseller and gave her international renown. Recently Ron Howard has signed on to direct the film of the book. Reading it, I could not help but think of Paul’s words above. What do we do when we experience severe affliction? 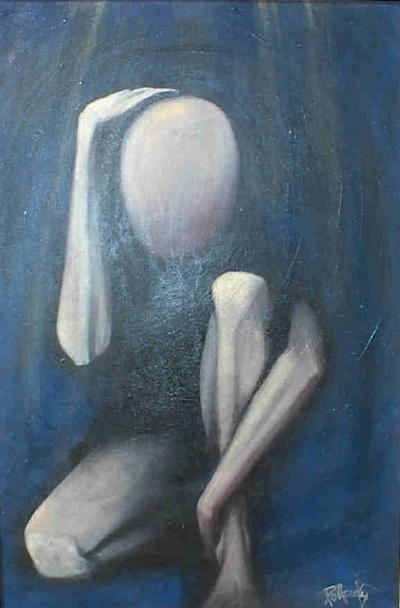 Do we become bitter and despondent? Do we blame others? Do we shake our fists at God? Or do we, like Taylor, see our affliction as the research opportunity of a lifetime; as a unique lesson of God’s infinite grace in the face of human pain and suffering that no textbook or sermon can ever convey? 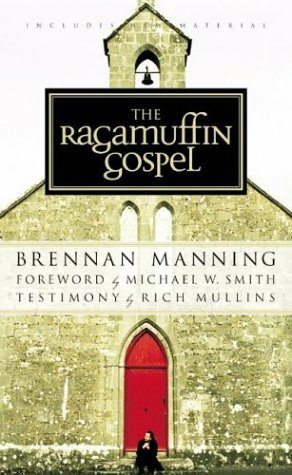 In his classic The Ragamuffin Gospel author Brennan Manning devotes a chapter to the “Second Call” in the Christian’s Life. Sometimes things don’t work out according to plan, Manning says. Sometimes Christians are devastated by death, disease, divorce, debt or disaster and find that they cannot live the afternoon of their lives by the morning plan. They have to find a new plan. They have to construct new goals and start over. This is the time when Christians are often surprised by a second call, when God intervenes and calls them as clearly and definitively as the first time around, and sometimes even clearer. The Bible is full of second calls: Moses at the Burning Bush, The Prodigal Son, the distraught Peter at the Sea of Tiberias, to name but a few. These were people who once had a sense of destiny but who lost it as a result of the mistakes they had made: Moses became an exile in Midian, the Prodigal ended up in a pigsty, Peter went back to his fishing boat. Yet they were all given a second chance. In fact, it was their response to the second call that made them legends. The saying “God forgives, people don’t” is true indeed. Like the Prodigal’s older brother, we often frown when our fallen ones want to get up. Our sense of self righteousness is threatened by the notion that God wants to restore them fully and unconditionally, and so we prefer them to remain in the pigsty from where they can make us look better than them. C. S. Lewis once spoke of the four ages that people go through: Unenchantment, Enchantment, Disenchantment, Re-enchantment. If you have become disenchanted in your faith, don’t give up. Allow God to re-enchant you. 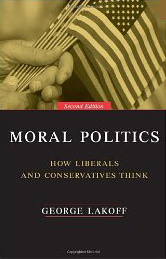 In his 1996 book Moral Politics: How Liberals and Conservatives Think cognitive linguist George Lakoff argues that the main difference between “conservatives” and “liberals” has to with their understanding of morality. According to Lakoff, conservatives hold to a “Strict Father” morality and liberals to a “Nurturing Parent” morality. Lakoff’s views seem to confirm an age old observation, namely that all religions can basically be divided into one of two broad categories: Religions of fear and religions of love. The one depicts a stern God of justice, the other a compassionate father. The famous passage above provides us with two clear directives: We are to love God and we are to fear God. The reader is not given any choice between the two. Clearly the God of the Bible is both a God of justice and a Father of compassion. Love and fear are the strongest emotions known to humanity. All of us are born with them, and we can never rid ourselves of them. Our only choice in the matter is who (or what) we shall love and who (or what) we shall fear. This combination of reverential awe and loving adoration is what worship is all about. Without God this remarkable inborn drive to worship becomes corrupt and misdirected. Love then becomes sensuality or a sick dependency, and fear becomes terror or anxiety. The great challenge for the Christian is not to try and create these two forces, but to detect them and to redirect them back to their rightful object: God. 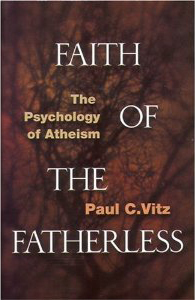 A number of years ago psychology professor Paul Vitz wrote a book with the title Faith of the Fatherless. In it he pointed out that many atheists maintain that religious belief arises from psychological factors. Sigmund Freud, for instance, saw belief as a form of wish-fulfilment, an illusion deriving from powerful wishes or unconscious infantile needs. A case in point: The German philosopher Friedrich Nietzsche famously proclaimed that “God is dead”. What few people know is that his father was a Lutheran minister who passed away a few months before Nietzsche’s fifth birthday. His conclusion might very well have been a way of dealing with his childhood loss – code for “Dad is dead”. Nietzsche’s case is by no means an exception. Jean-Paul Sartre, Bertrand Russell, David Hume, Arthur Schopenhauer and Albert Camus were all atheistic philosophers who lost their fathers at a young age. Vitz mentions that many other famous unbelievers also had troublesome relationships with their fathers. Hitler, Stalin, Mao, Freud, Voltaire, Thomas Hobbes, Samuel Butler and H.G. Wells all had abusive or weak fathers. We can learn a number of things from Vitz’s book. More important than the insight into unbelief is the disturbing, yet glorious truth of how our children are affected by our actions. We fashion their understanding of God. This may provide one reason why the Bible is so concerned with the plight of orphans. Where there is no parent to represent God to a little one, Christians should be ready to step in and fill the void. Every now and again a book comes along that captures the essence of Christianity in a remarkable way. These are the writings that subsequent generations refer to as “classics”, and they are usually only recognized for their profundity and timelessness once the author is no longer around. There are many examples (although not too many! ): Watchman Nee’s The Normal Christian Life, Andrew Murray’s Abide in Christ, Dietrich Bonhoeffer’s The Cost of Discipleship, C.S. Lewis’ Mere Christianity, Chesterton’s Orthodoxy, Gene Edwards’ The Divine Romance, and so on. The latest addition to the “Classic” bookshelf in my library (reserved for the very best of Christian literature) was published only a few years ago. 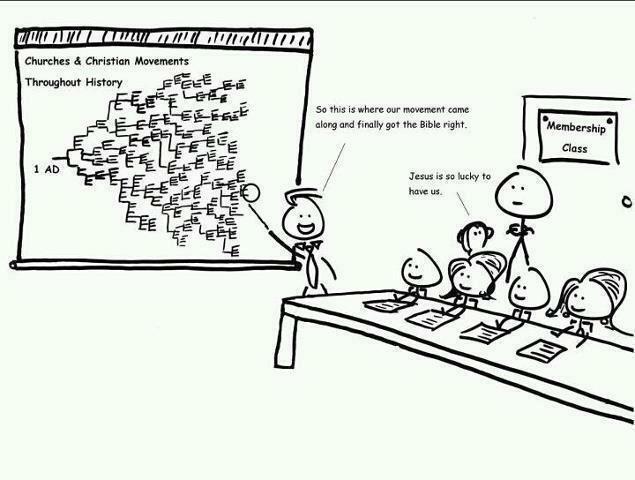 Yet it is regarded by many as one of the greatest Christian books of the last few decades, and a certain future classic. 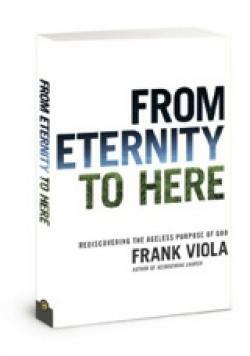 I am, of course, referring to Frank Viola’s From Eternity to Here. Although not everyone agrees with Viola’s views on the church (he co-authored the controversial Pagan Christianity in which he and fellow author George Barna takes on “institutional Churchianity”), few of his critics find fault with this book. It has been endorsed by traditionalists and radicals alike, and is revolutionalising the way multitudes of believers worldwide see the “big picture” of Christianity. Unlike so many Christian bestsellers of late, Viola has no new revelation to offer (thank goodness). On the contrary, From Eternity to Here combines in one volume the greatest and most precious insights from the best of the “Deeper Christian Life” authors of the past few centuries. People who are unfamiliar with authors like Nee and Murray, and with Christian movements such as the Brethren, will find this book astoundingly revelational and deeply edifying. I heartily recommend From Eternity to Here. In fact, I recommend that you buy a few extra copies and give them away. One of the best definitions of humility that I have ever heard comes from the pen of William Law. “Humility is not thinking less of yourself but thinking of yourself less”, Law said. Law and Lewis are spot-on. As I’ve pointed out in this column before, a regular ingredient of pride is a sense of accomplishment. And so it is in fact impossible to pursue humility and find it, for the sense of accomplishment at the end of the journey will destroy it. Theologians speak much of God’s ability to create “ex nihilo” (Latin for “out of nothing”), but Kierkegaard underlines the importance of “ad nihilo” (“towards nothing”, the etymological roots of our English word “annihilate). Herein lies the secret to Christian humility: Only God can create out of nothing, and only God can reduce to nothing. Human beings can engineer the work of the cross no more than they can fabricate the resurrection. Both the letter of the law that kills and the Spirit that gives life come from God. And so humility is not to be found by looking for it. Rather, it is the natural outcome of looking away from ourselves and to Jesus Christ.